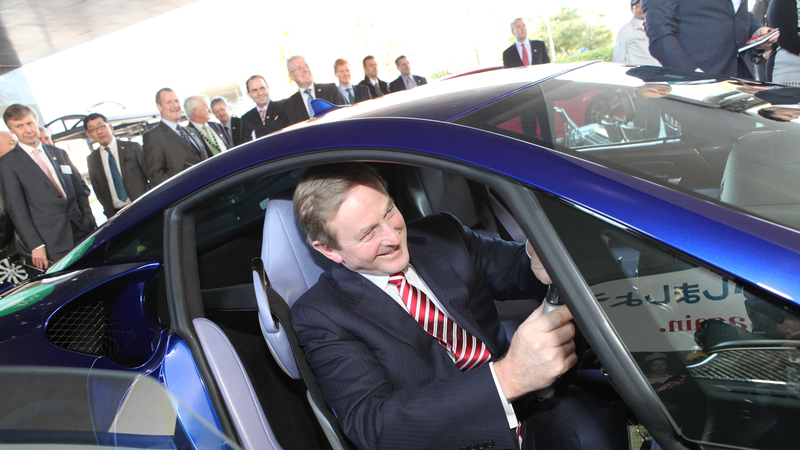 Taoiseach visits Toyota plant in Japan to learn from Toyota Production System and Lean Production processes. The Taoiseach yesterday travelled with a delegation of business leaders to Toyota’s Motomachi plant in Japan to meet Senior Executives from Toyota Motor Corporation. The objective was to learn from Toyota’s world-class Toyota Production System and Lean Production processes, and glean insights as to how this could be applied to industry in Ireland to support economic recovery. The Taoiseach travelled with a delegation of Irish business leaders, including Julie Sinnamon, CEO, Enterprise Ireland, Sean O'Driscoll, CEO of Glen Dimplex and the Irish Ambassador to Japan, Mr John Neary.